Please fill out the following form, and then check the area you’d like to explore. Details about how to serve will be emailed to you. If you have questions or would like more information, please contact the church office (ellin@holycross.net or 843.883.3586). The Altar Guild ministry is for young and old alike, and is something that a child could assist a parent with. Serve once every four to six weeks and set up the elements that we use for communion each week, as well as set out the appropriate hangings and hymn numbers in the worship space. Welcome worshippers to Holy Cross with a friendly face, help with directions, and collect the offering. Perfect for individuals, couples and families. Lead in worship through the reading of Scripture and the Prayers and serve the chalice during communion. High Schoolers & adults serve once every 4-6 weeks. 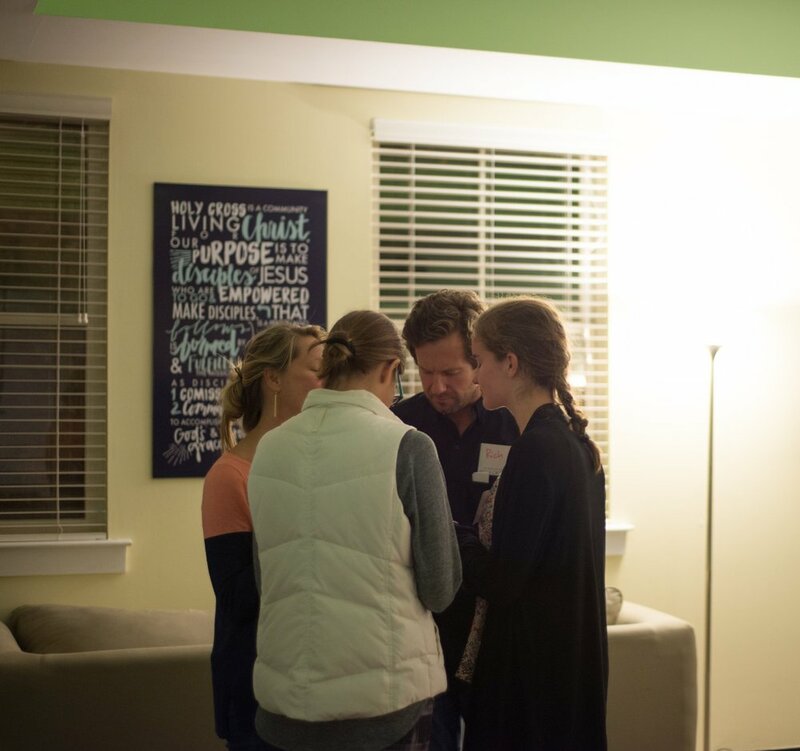 Join a prayer team that prays for our church family during communion. Volunteers will be equipped to pray with a partner during worship at Holy Cross. Pre-K Ministry—Providing loving childcare at Holy Cross. Choir—Serves weekly in leading music at our 11am Traditional Service at Sullivan’s Island. Click here for more information. Praise Team—Join our team of vocalists and instrumentalists. Click here for more information. Media Team—Produce sound and screens for contemporary services. Photography or Video— Help document events at Holy Cross and create media for promotional use.